There is a total of 1 customers waiting to be notified when stock arrives, join them. 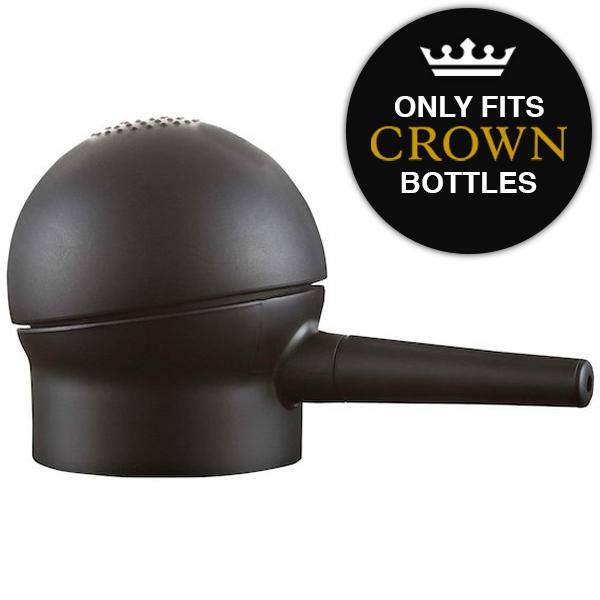 Unscrew the cap from your Crown bottle. Gently wiggle the perforated sifter free from the top of the bottle and remove. Screw the Spray Applicator firmly in its place. Press the pump to disperse fibres. More pressure disperses more fibres.